Left to right: Pete Howarth, Steve Bebe (Fundraising Administrator), Amy Swatkins (Community Development Fundraiser) and Chris Howarth. At the heart of the NMC is a vibrant and commercially successful Social Enterprise. NeuroMuscular Centre (NMC) Design+Print employs 15 people, 12 of whom have Muscular Dystrophy. 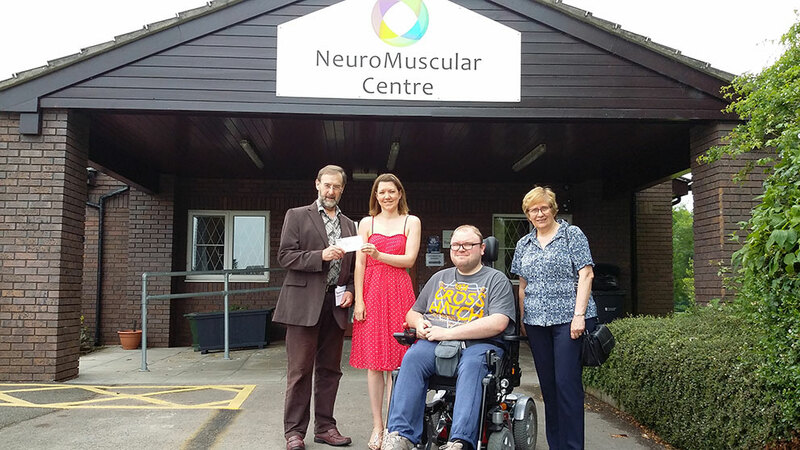 The team aim to generate a surplus to re-invest in the work of NeuroMuscular Centre (NMC) helping others with the condition.